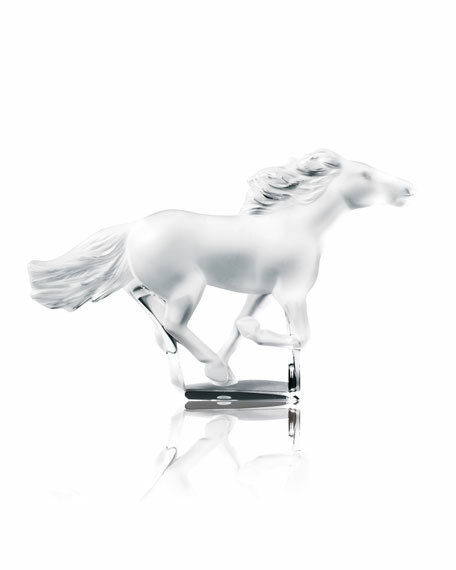 Named for a breed native to China and Russia, this clear Kazak horse sculpture captures the beauty of the animal in mid-run. 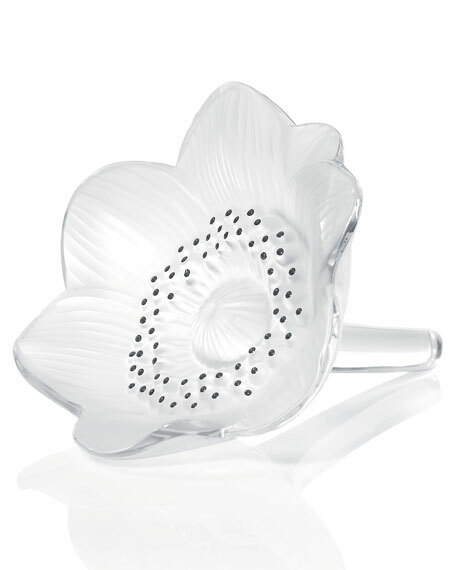 From Lalique. 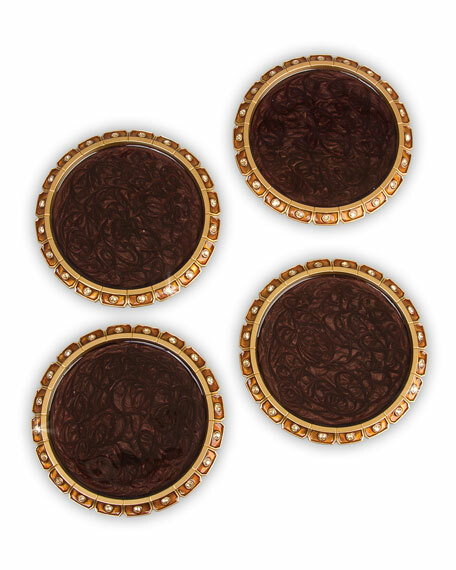 7.5"W x 0.875"D x 4.5"T.
For in-store inquiries, use sku #659870. Handcrafted sculpture. 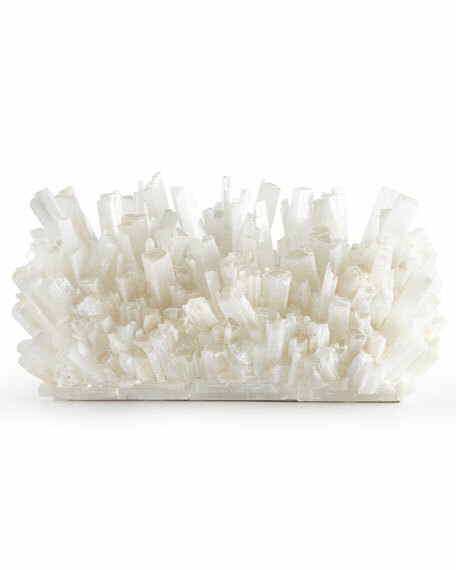 Made of natural selenite crystals. 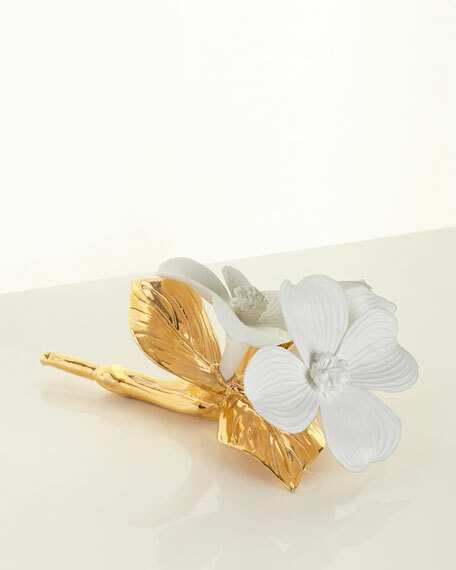 Designed to hold votive candles that make the piece glow from within. 30"W x 12"D x 15"-18"T. Each will vary. Made in the USA using selenite crystals from Morocco.